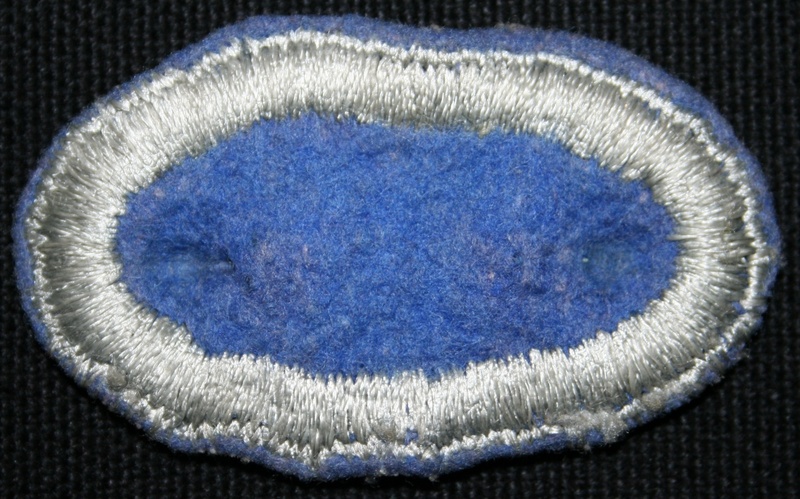 In 1941, Captain William P. Yarborough - 501st Parachute Battalion after having designed the Parachute Badge (also called "Wings"), designed an oval background trimming to be worn under the Wings and frame it on the uniform. 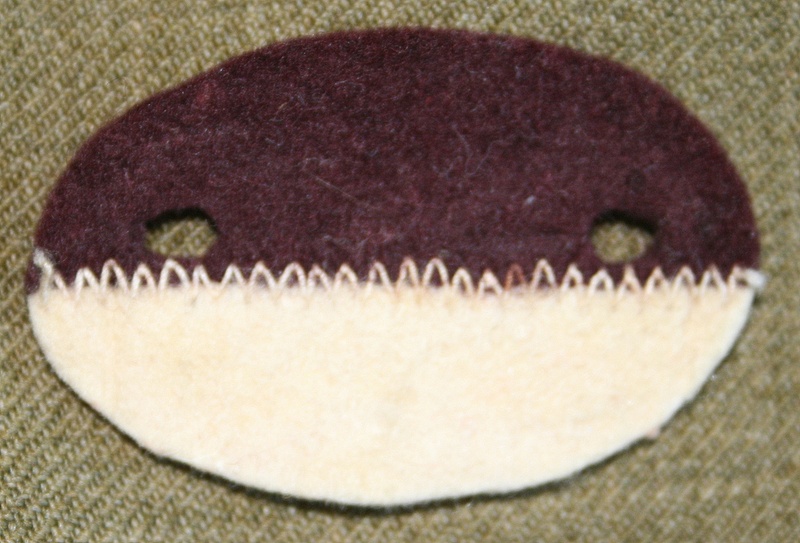 Thereafter, when other airborne units were created they also adopted their own oval background trimmings in various color combinations and little by little most airborne units have had a distinct oval cloth insignia worn under the parachutist or glider badge on the left breast. Army regulations existed that permitted units to adopt trimmings in addition to the familiar enameled crests distinctive insignia. In the course of the war the War Department suspended adoption of new trimmings and it does not appear that airborne background trimmings were officially approved by the War Department during the Second World War. Nevertheless, they were manufactured using regimental funds and widely worn. Airborne oval background trimmings existed for most of the parachute infantry regiments. In addition ovals in the colors of branches of service existed for other combat branches (such as artillery, Medical corps, ...) and also support troops within the airborne divisions and for headquarter units. It is possible that many of the ovals appearing above were not adopted by their units until after the close of hostilities and maybe only just prior to their demobilization during the immediate postwar period. Because these insignia were adopted by the units without War Department approval there is very little documentation and they must be considered on a case by case basis. There was no overall coordinating authority supervising the adoption of the designs. 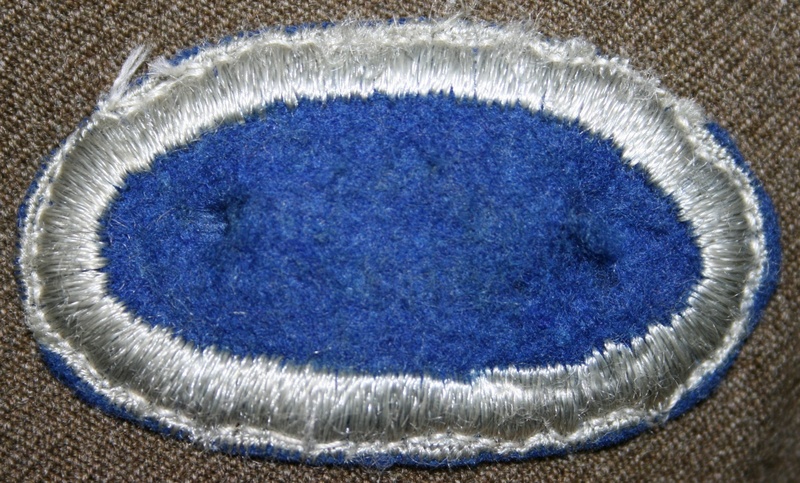 Different units of the 17th Airborne Division have also adopted a specific oval background trimming. You'll find below such ovals available in my own collection. This example belonged to a non identified trooper of the 517th PIR (with laundry B-4402). This gentleman was a "first hour" recruit and served in the 517th from 1943 to 1945. 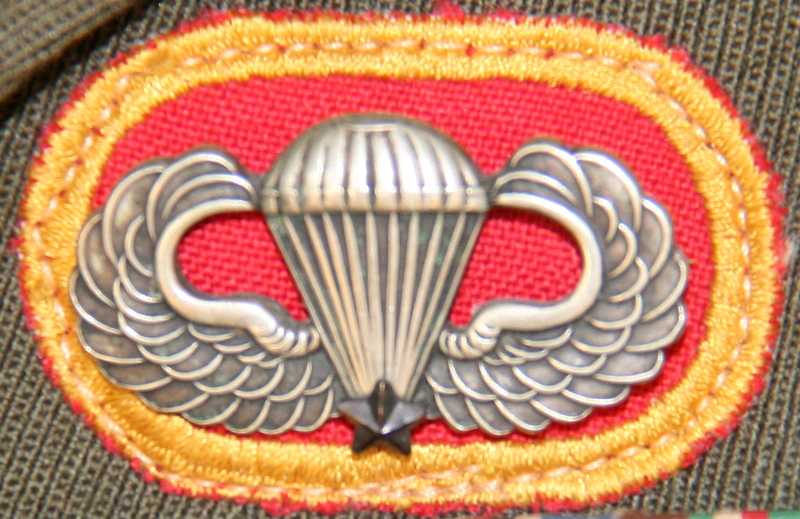 You can see the complete insignia in the "U.S. Army Parachute Badge" chapter (TFH collection). 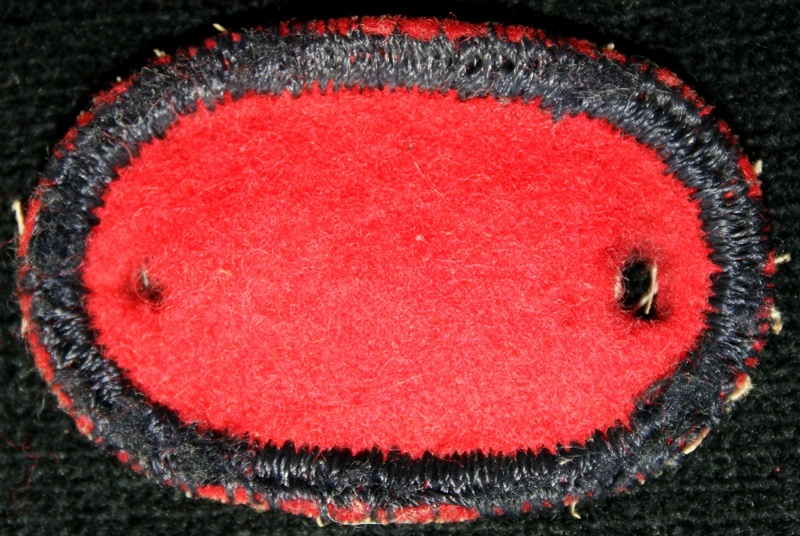 This example belonged to Bois Grime (ASN 38664799) from Cie B - 507th PIR and is still sewn on his Ike jacket. You can see the complete insignia in the "U.S. Army Parachute Badge" chapter (TFH collection). 325th Glider Infantry Regiment (82nd Airborne Division). This example belonged to Charles J Slavka (ASN 33080666) who served with Cie E - 193rd GIR then in the 194th GIR and later in the 325th GIR (after the VE Day). 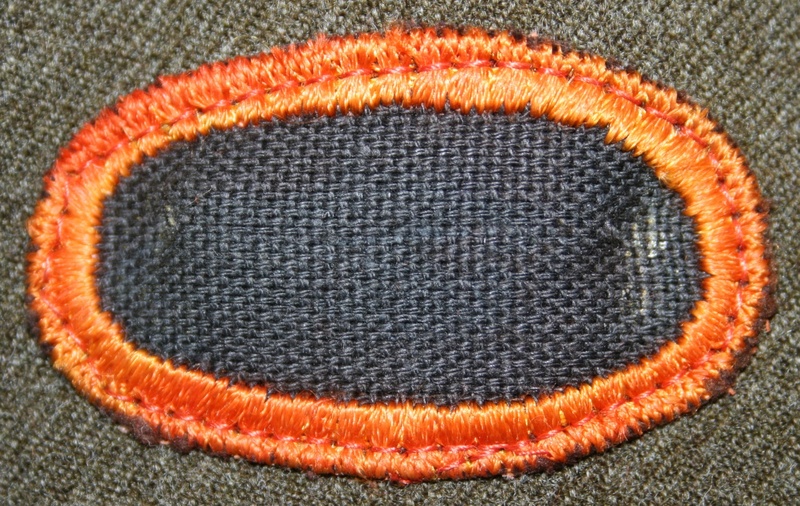 The 325th background trimming is still sewn on his Ike jacket (TFH collection). This example belonged to George Silberhorn from unknown artillery unit of the 17th Airborne Division (TFH collection). This example belongerd to Edgar L Adams (ASN 15303214) who served with 466th PFAB (TFH collection). 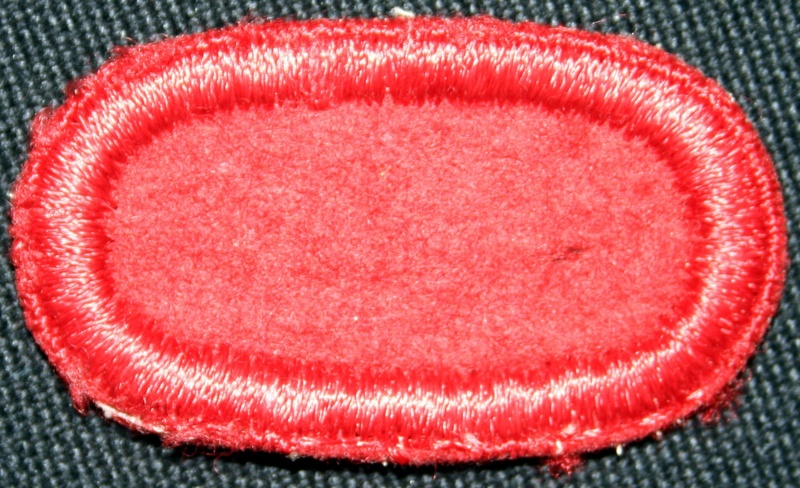 Unidentify example originally sewn on an officer jacket (TFH collection). 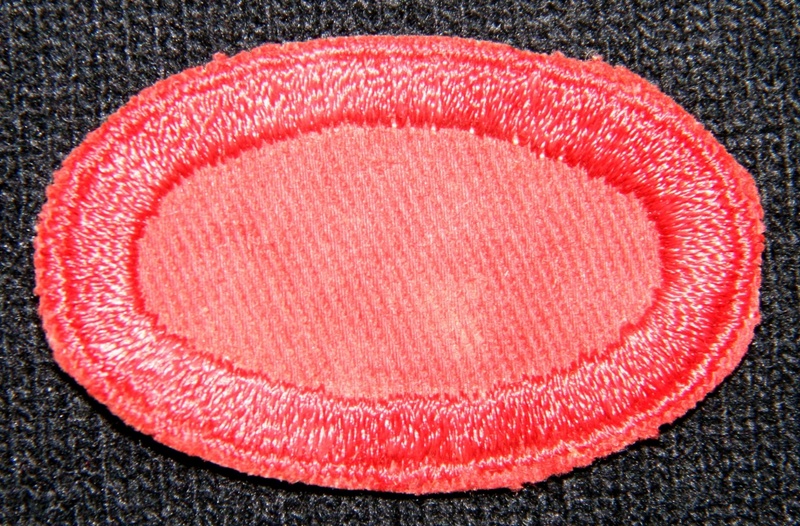 Unidentify example of a hand made oval wears on a 224th Ab Med Cie 2nd Lt shirt.